Last Friday I took the kids to Dunseverick where there are deep rock pools to swim in. It was at least the mid 20’s and the pools were like a warm bath. 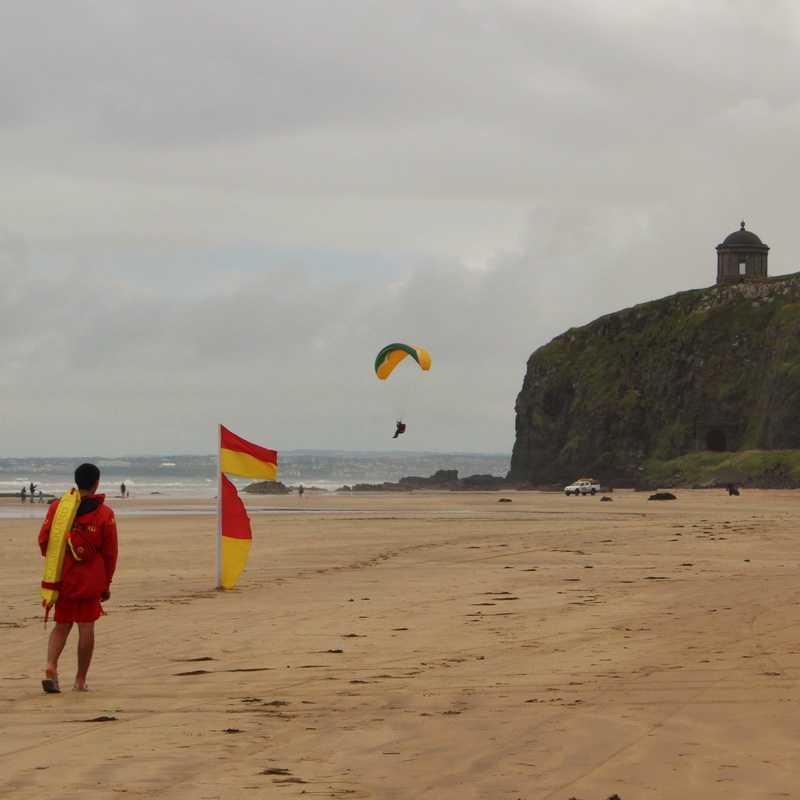 Then within a day or 2 we were on Benone beach further west with that great view of Mussenden temple. This time, time in the water was limited and most of us retreated to the car pronto. Little work for the lifeguards. 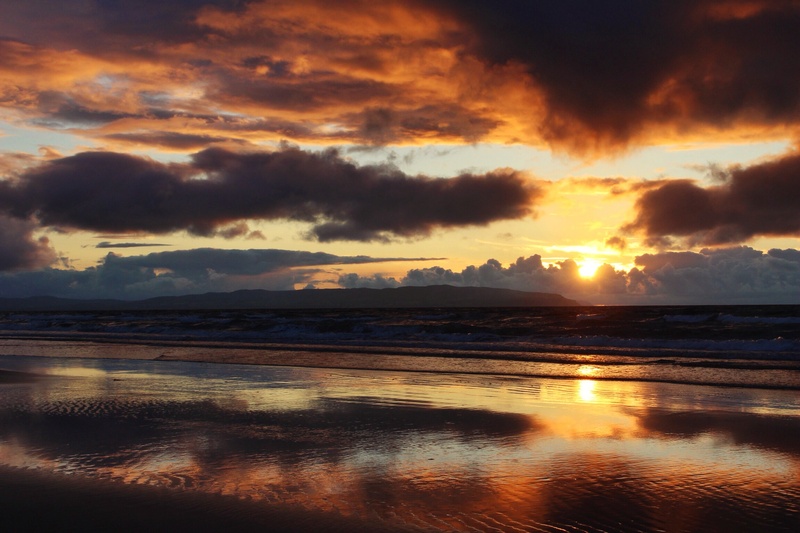 I posted shots on Facebook at the weekend of the fireworks at Portstewart taken from the Strand beach. We arrived in plenty of time and went for a walk. The sun was setting across the bay. Certainly beats being in the middle of a crowd waiting for the street lights to go out. 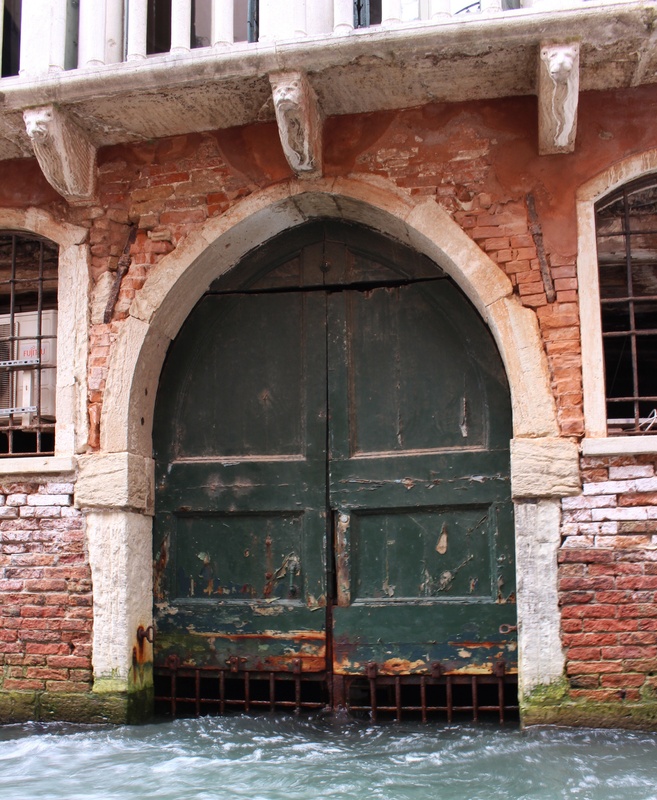 Doors and canals and boats. 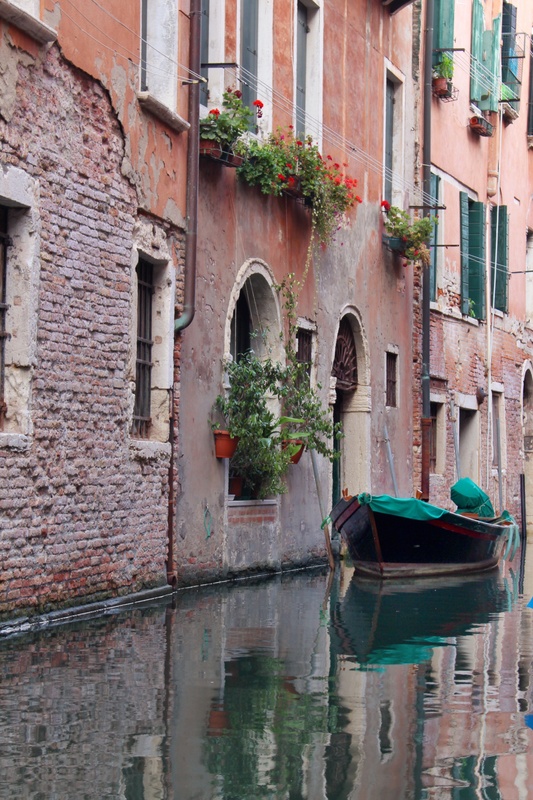 one of the many many smaller canals which criss cross Venice. Everywhere you turn there is something beautiful to photograph. 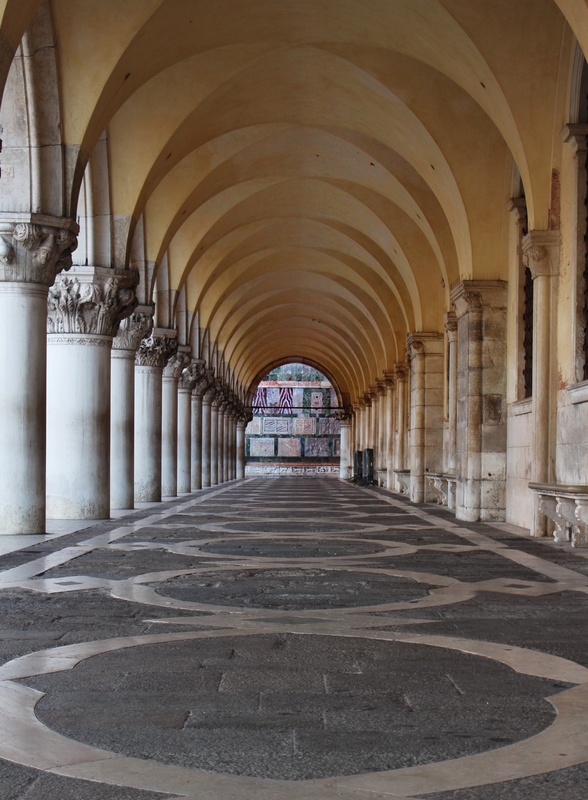 Collonades around Pizza San Marco, Venice. These 3 shots were taken at different times of day all within a few hundred metres of each other. The one with nobody in it was early one morning. Worth getting up early to escape the tourists. If you look closely in another shot you can see a bride and groom getting some wedding photographs taken – quite a common sight, I saw 1 or 2 each day. 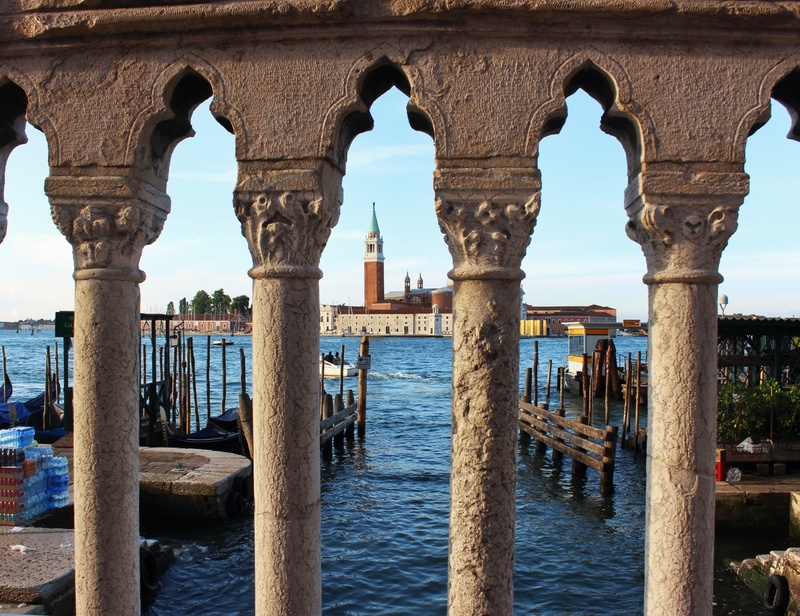 You can see why a couple would choose Venice to get married in – and there are no shortage of churches to choose from. 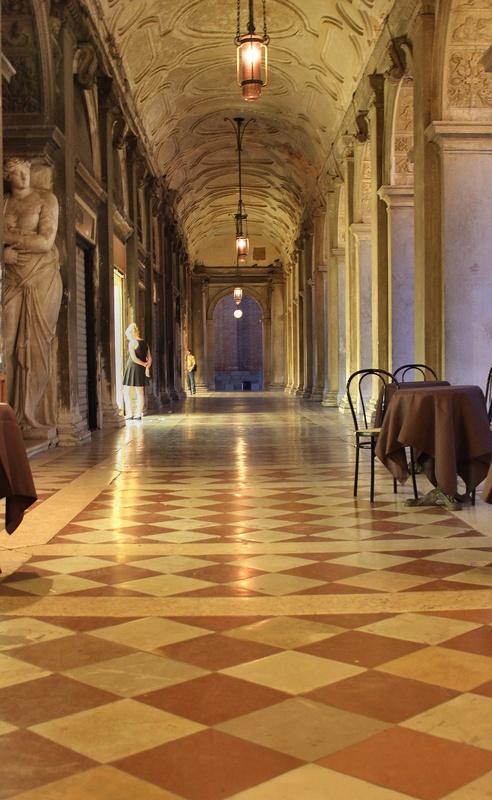 The photograph with the reddish tiles on the floor and the window shopping tourist was taken at night. 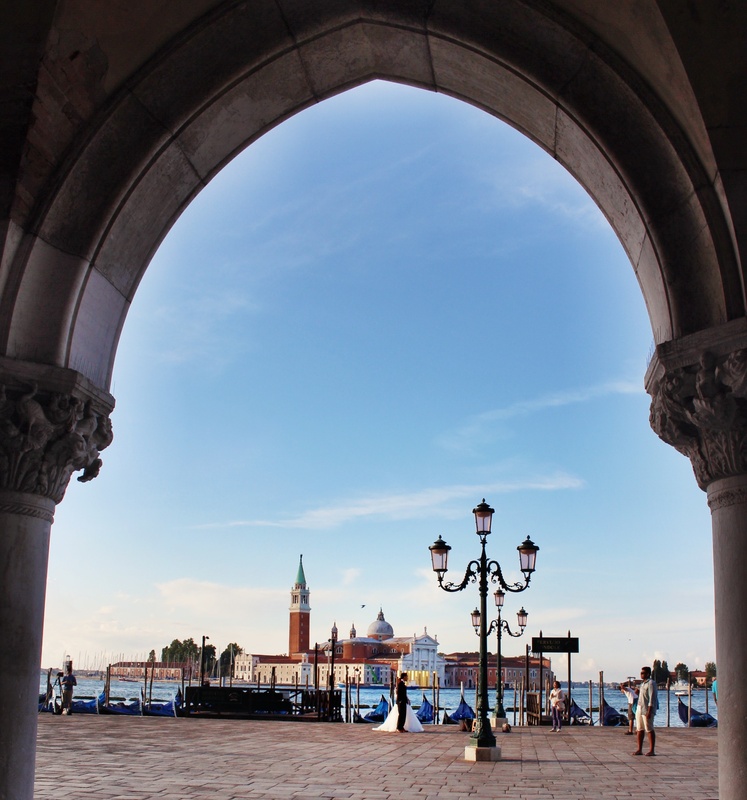 Venice is a beautiful city even when it is overwhelmed by tourists. Which in July it is. The only thing to do is to get up early and go out with your camera when the city is just waking up. This is a view across to San Giorgio taken from a bridge about 7am just around the corner from Piazzo San Marco. 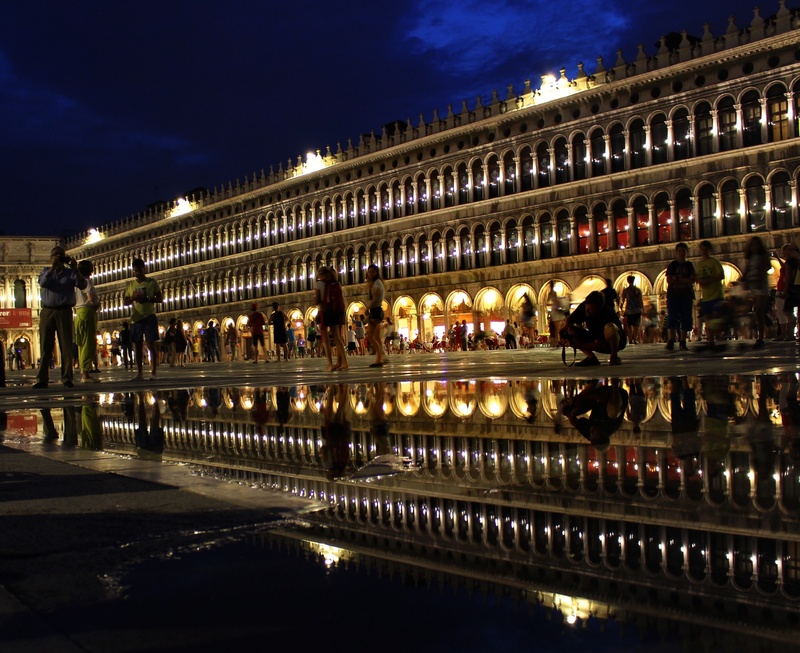 I took this shot on our last night in Venice. This is one of my first attempts with a long shutter speed. There had been some rain so there was a large puddle in the middle of the square. Unfortunately a cluster of tourists had worked out that the reflection could make for a good photograph so it was difficult not to have people in the way. However it’s a magical place. Live quartets make it very atmospheric! One played the Titanic theme tune – unfortunate choice on a small island! 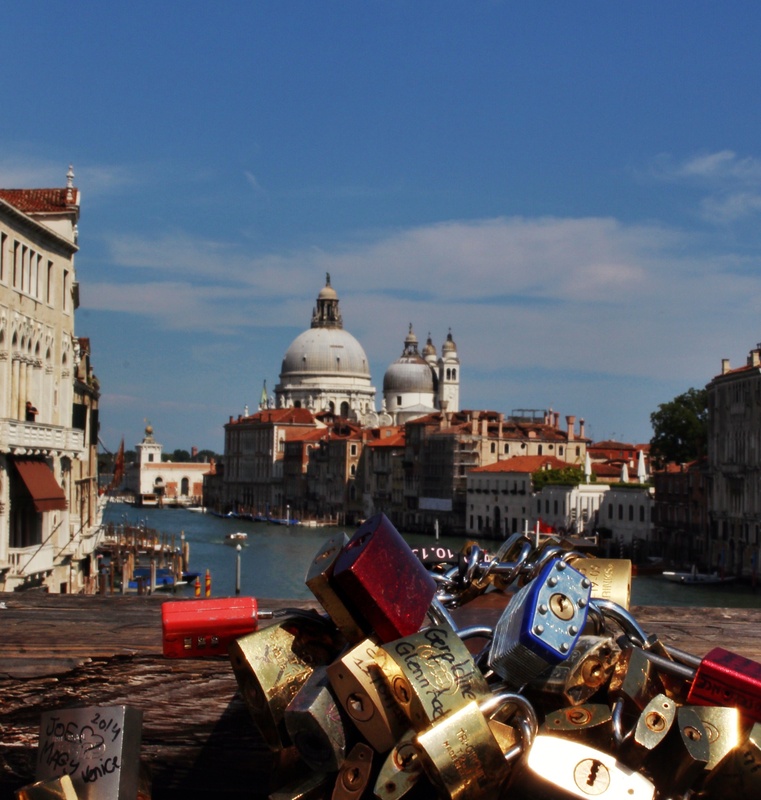 Should have been to B+Q to buy a love lock and leave it behind us on a bridge in Venice. A lot of the bridges have clusters of locks attached. I remember this in Paris when we went there for our 20th wedding anniversary. 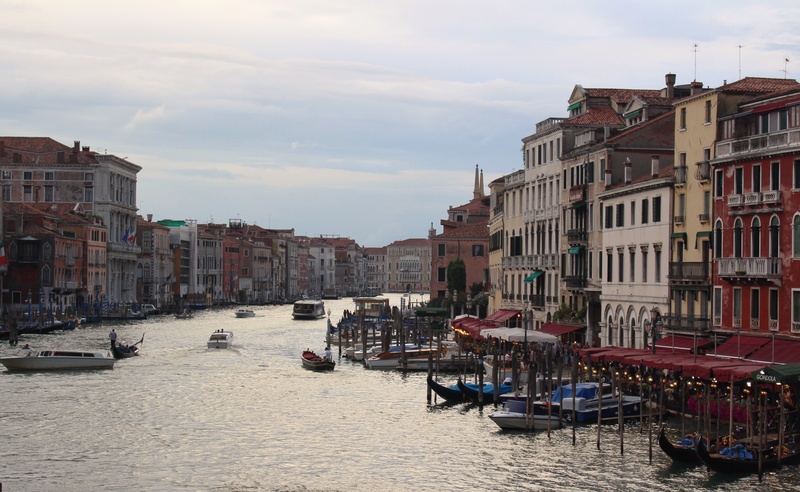 This is the Accademia bridge which crosses the Grand Canal.